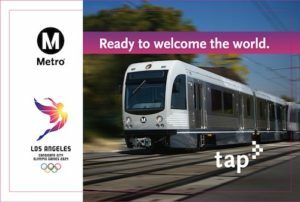 Limited edition Metro TAP cards celebrating Los Angeles’ Olympic bid are available at select stations, the agency announced Friday. The cards feature the worlds “Ready to welcome the world,” and include photos of public transportation options that visitors could use to travel between potential venues. 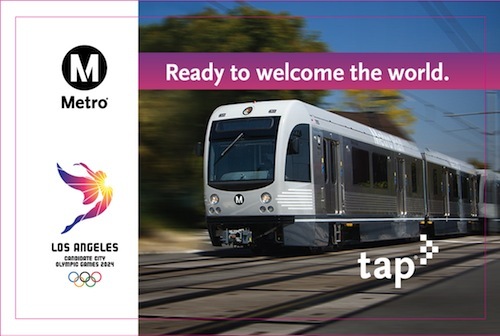 Metro issues LA 2014 Olympic-themed Tap Card. Los Angeles is competing with Paris for the 2024 Games, although the International Olympic Committee is expected next week to approve a plan to award both the 2024 and 2028 Games simultaneously at its meeting in Lima, Peru in September.